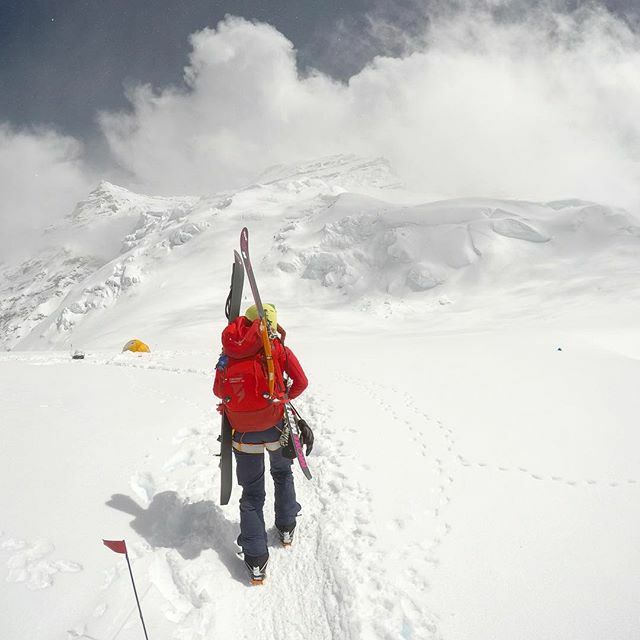 The truth is, I miss being on Cho Oyu, on my first Himalayan expedition, terribly. The first week of being home has been a challenge. When I’m climbing and skiing a big mountain, I love the focus and clarity I have. At home, I get easily overwhelmed and feel pulled in a million directions. It’s easy to talk about the highs, the proposal, the engagement, the summit! But it isn’t easy to talk about the lows, the big stack of medical bills to pay, the IRS deadline coming up, the slideshow prep, the big feeling of emptiness, of questioning, of rest and recovery. Post expedition/vacation depression is real. So today, for #worldmentalhealthday, let’s continue to break the stigma of talking about mental health. I think a lot of us in the outdoor community struggle with these issues a lot more than we let on, and by coming together and sharing openly and honestly, we can normalize these feelings and create a more resilient and happy community going forward. Sending love to all of you.